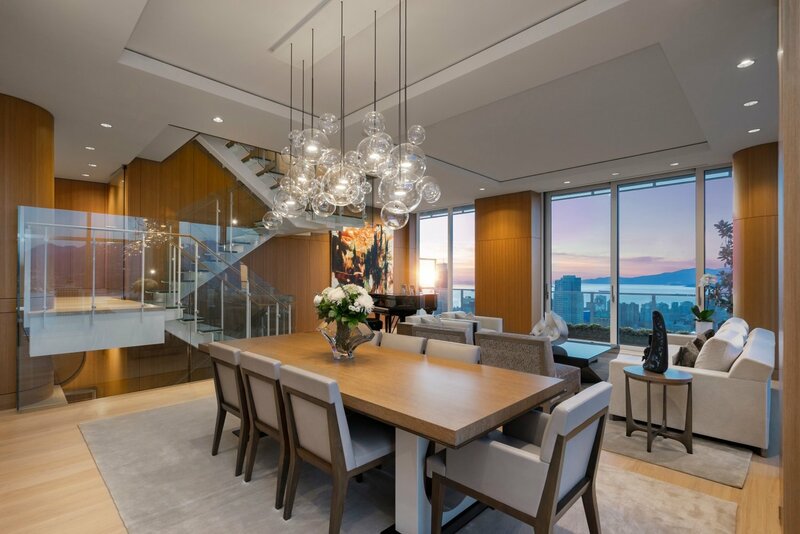 The world class penthouse sitting at the top of the TELUS Garden Towers building in the heart of Vancouver has come up for sale. 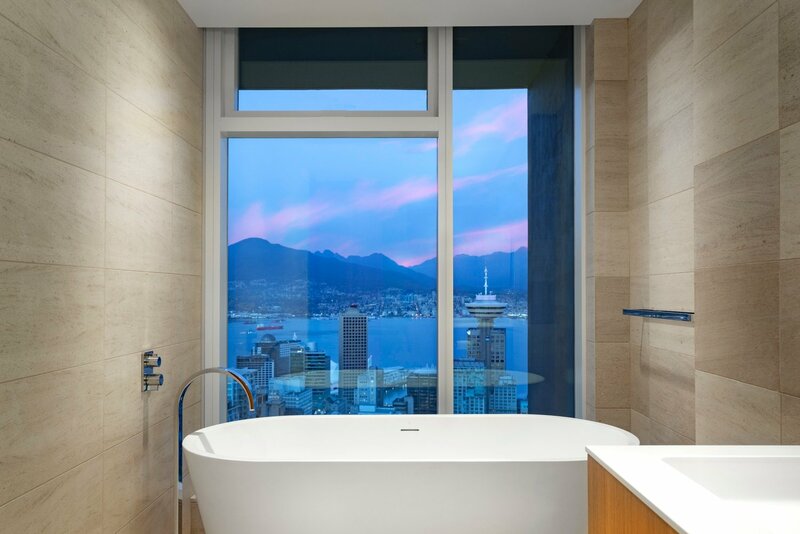 This is a rare opportunity to own one of the nicest penthouses in the country, also one of the more recently built penthouse condos in Vancouver. 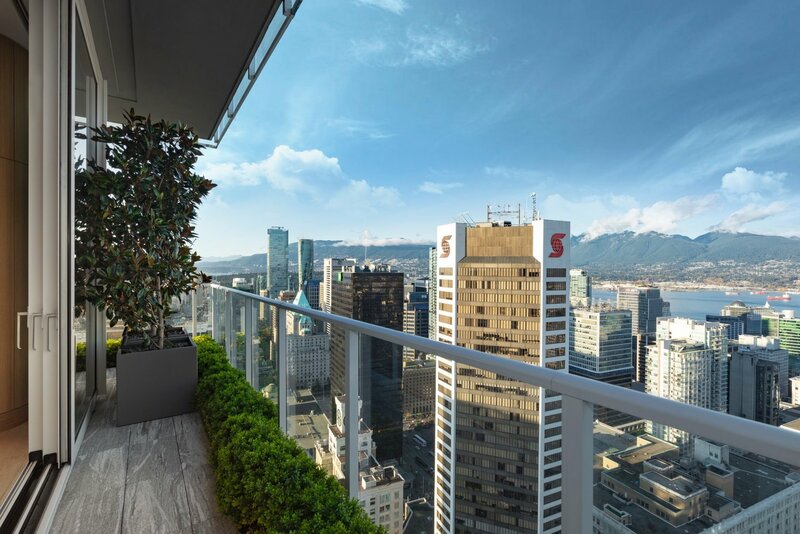 Every room in the TELUS Garden Towers penthouse comes loaded with tech, designed with care and takes advantage of those endless views. 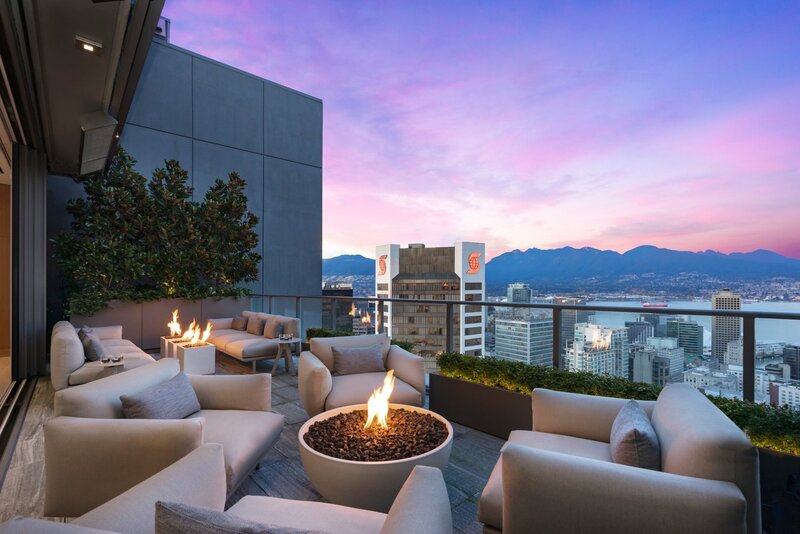 We’ll talk about our favorite aspects inside and out of this condo, but nothing beats those stunning pictures thanks to Engel & Volkers Vancouver. 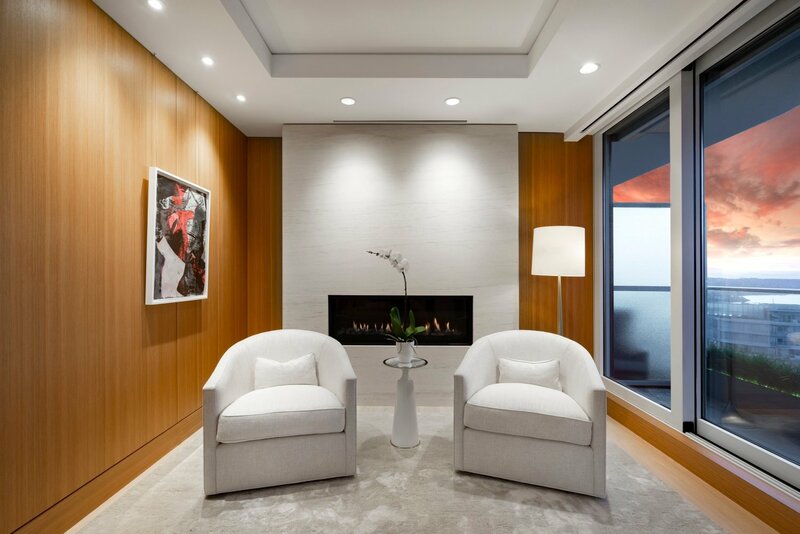 The TELUS Garden Towers penthouse took several years to build and its owner spent a lot of time thinking over every detail before implemented. 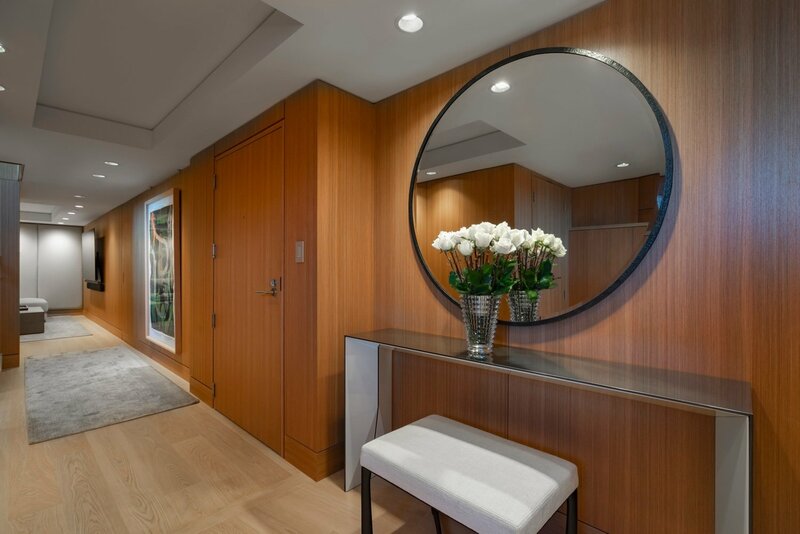 The result is one of the most finely crafted homes in the country with close to 4,000 square feet of indoor living space, and just over 1,600 square feet of outdoor living. 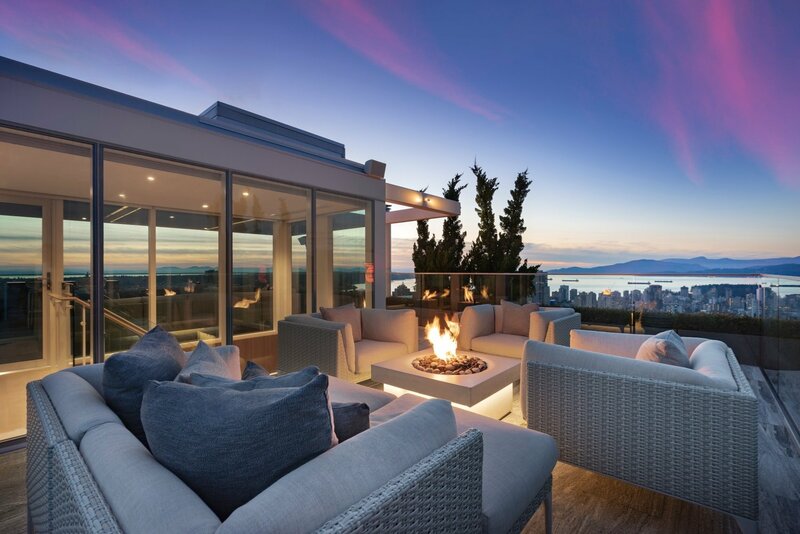 Ph3 – 777 Richards St was built to take full advantage of the beautiful views of Vancouver. 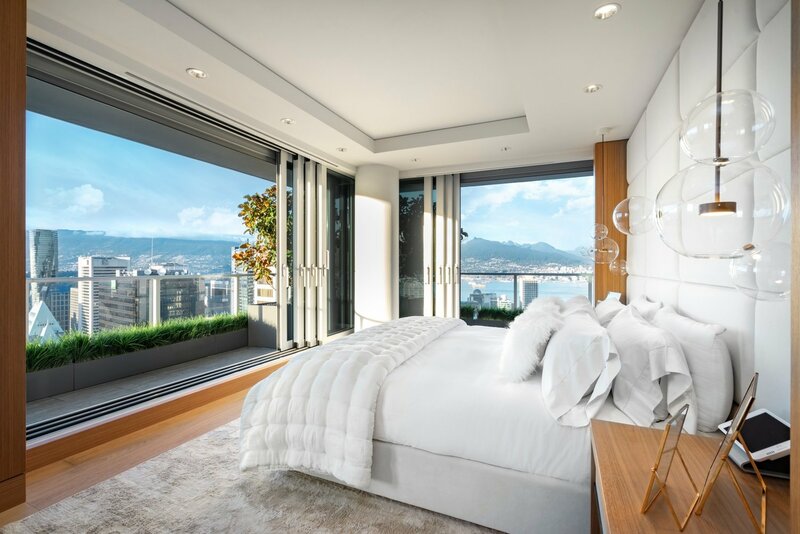 The Penthouse at TELUS Gardens was re-imagined by the owner along with architects Henriquez Partners, the luxury design team at Studio b and ELTE furniture store out of Toronto. The outdoor living space is made to flow naturally indoors, making those warm spring and summer month’s all the more enjoyable. 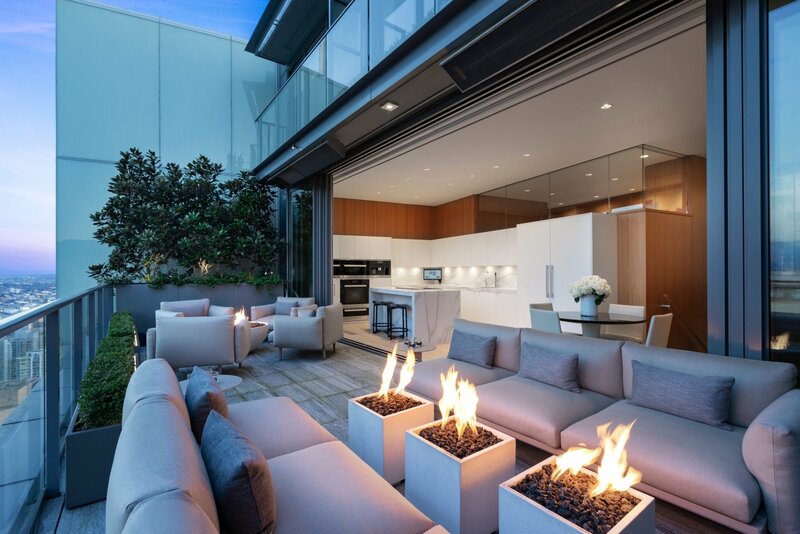 Even in the colder seasons, the overhead heats and outdoor fire pits make make it a year round enjoyment. 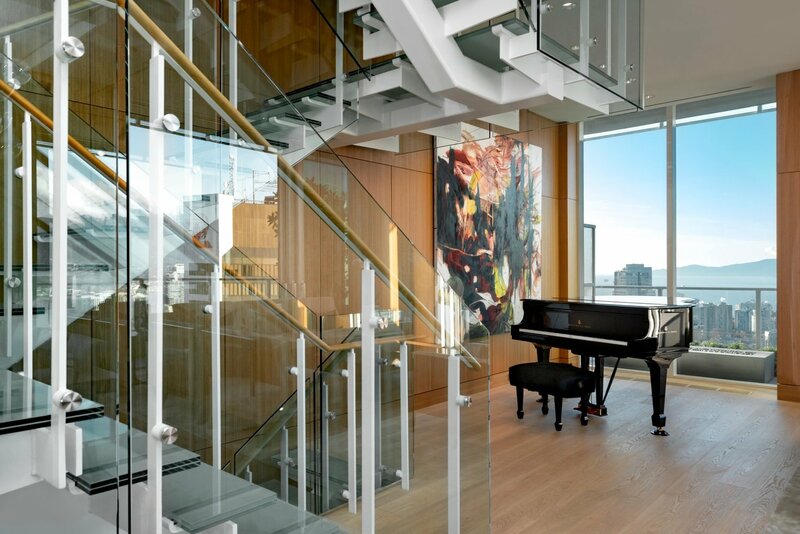 Inside you’ll find three bedrooms and five bath spread out over the multiple floors o this penthouse. The price includes it fully furnished, I cannot imagine that being a problem with the new buyer given its current immaculate state. Where do I even begin with this place? There’s so much to list I won’t be able to without making you read a small book. 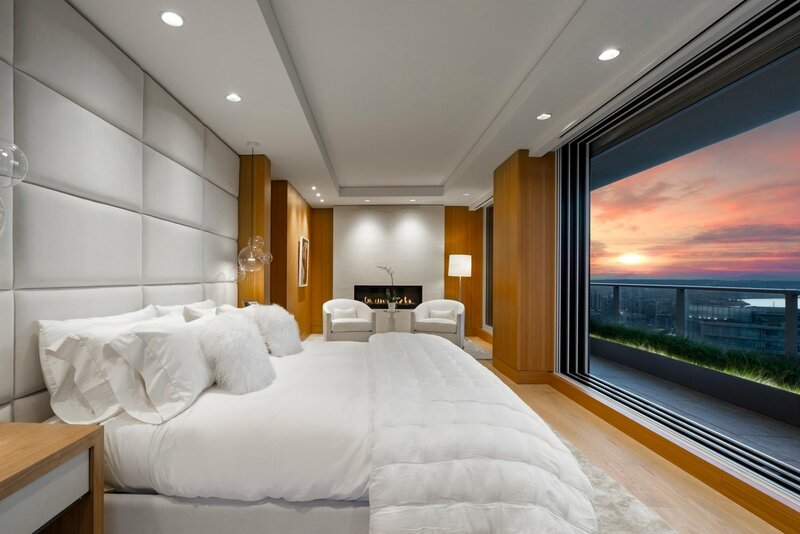 I’ll point out what I think makes this penthouse the most unique, otherwise you’ll have to tour it yourself to see it all…only if you’re a qualified buyer of course. Inside the walls and roof are done with custom millwork, some of them open right up to expose that beautiful view. The home is furnished selectively with beautiful indoor furniture pieces from DEDON, and outdoor furnishes from Kettal which we love. The decor is perfect in our opinion and we’re glad the owner has decided to sell this penthouse with everything included. 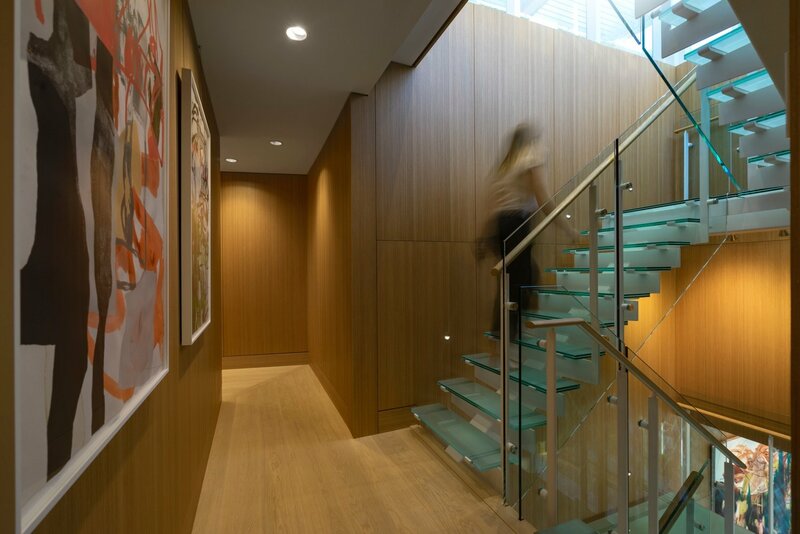 The entire home is controlled via an app and the Crestron home automation system which has domain over the Lutron lighting, music, blinds, TV’s, air conditioning, home security, and heating controls. For the security minded you’ll find discreet security cameras are located throughout the home. You’ll also findadditional cameras overlooking your four private, secure and underground parking stalls. 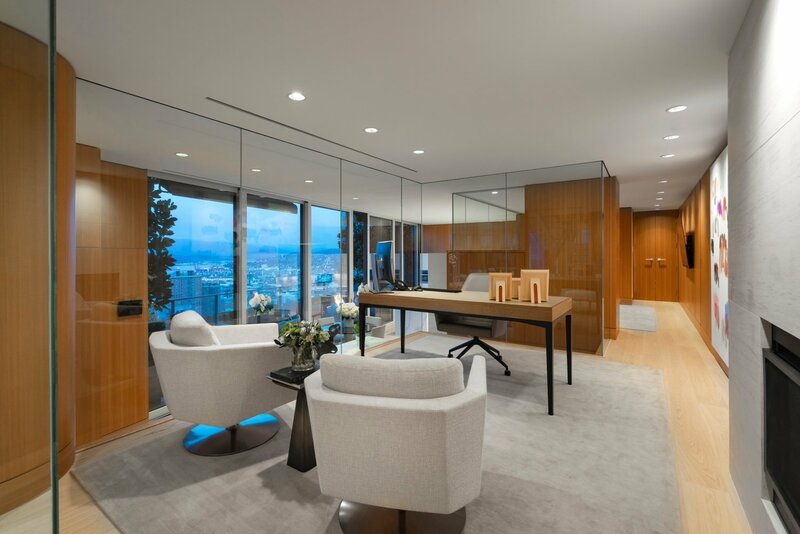 The TELUS Garden Towers penthouse is now on the market for a cool $15,000,000 CAD and is listed with Engel & Volkers agent Mike Rampf in Vancouver. 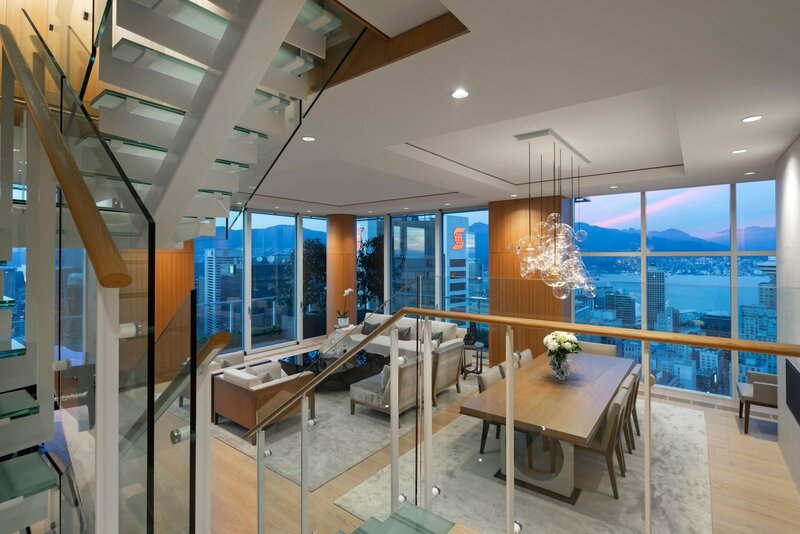 If you’re interested in purchasing the TELUS Garden Towers penthouse he can be reached at 604-616-0115 to learn more.